I'm a day late on this one because of a last minute request for Shepherd's pie last night. I've never made it before, but it turned out really well! A perfect comfort meal for a Sunday night. We used Alton Brown's recipe (link below) and substituted the ground lamb for lean ground beef. Here's what else we've got on the menu for this week. Happy Monday! 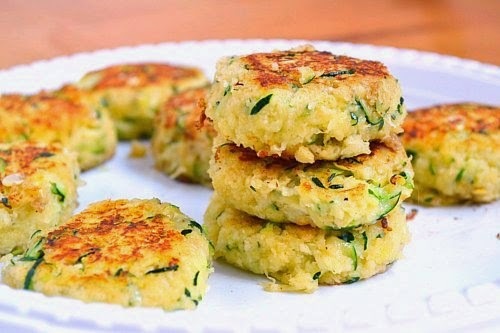 Zucchini fritters are one of my favorite sides to make at home!